In what went down in history as the “Great Game”, during the 19th century, the Baloch people gradually lost their country and national sovereignty – largely due to the competition for influence in Central Asia between different empires, first, between the “Russian Bear” and the “British Lion” and, later, between the British and the Persian empires who divided Balochistan into different spheres of influence. 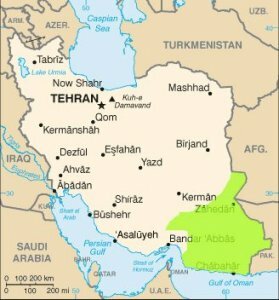 In 1928, West Balochistan was annexed to Iran by Reza Shah Pahlavi, who assumed power from the Qajar dynasty through a British-backed military coup soon after the famous “constitutional revolution” of the early 20th century. The Pahlavi dynasty marked the beginning of a centralized Iranian state, where the Persian language and Shiite religion were given prominence, leaving Baloch people struggling to defend their rights and identity under Iranian rule. In 1979, Iran became an Islamic republic while Shah Mohammad Reza Pahlavi was forced into exile. The new regime outlawed political organisations and, in 1981, launched a major assault on political activists in the form of systematic persecution, imprisonment, torture, execution and assassination. Today, about twenty percent of the Baloch population lives in southeastern Iran in the area known as West Balochistan, while a considerable group of 8-10 million Balochs live in East Balochistan (Pakistan). A small community of around 500,000 Baloch resides in Afghanistan. The Balochistan People’s Party represents the Iranian Baloch population, while the Afghan and Pakistani Baloch population are represented by their own organizations and parties in their respective countries. Parts of West Balochistan have been partitioned to three neighbouring provinces in the southeast of Iran, namely Khorasan, Kerman and Hormozgan. There have been considerable migratory movements of Balochs throughout Iran as many seek employment opportunities, particularly in urban centres such as Tehran. The Baloch population in Iran consists of approximately 4 million people in total, although there are no independent census figures. While the CIA Factbook estimates that they account for 2 percent of Iran’s population (total 66,429,284, July 2009 estimate), this appears to be an underestimation. The majority of Iran’s Baloch are Sunni Muslims with small minorities of Shia and Zekri. The national language is Balochi and the second-most commonly spoken language is Brahui, a language of unknown origins with Persian loanwords. Baloch people in Iran are deprived of their cultural, social and economic rights, degrading them to the status of third-class citizens. They face discrimination in all walks of life, particularly with regards to political participation and access to the job market. The dissemination of Baloch culture and language was declared by the Iranian central governments as an act of treason against the state. Assimilation policies carried out by the Persian state mean that the Baloch are rapidly losing their identity. Baloch civil society faces systematic state-sponsored intimidation and harassment, while journalists, human rights activists and everyone else who dares voicing dissent are being arbitrarily arrested and tortured by security forces and Iran’s infamous Islamic Revolutionary Guard Corps (IRGC). UNPO condemns the ongoing and unwarranted military operation against the Baloch people in Iran, which comes along with gross human rights violations results such as extrajudicial killings, disappearances and arbitrary imprisonment of Balochs in Iran. UNPO deplores the discrimination against the Baloch people, particularly in the economic and political sphere. In addition, UNPO roundly condemns the denial of the Balochs’ linguistic rights, including the right to speak Balochi and be educated in their mother tongue. UNPO supports the Balochistan People’s Party in its effort to protect and promote Baloch culture and identity. The Balochistan Peoples Party is a national democratic movement which is struggling to achieve sovereignty for the Baloch people within a secular, federal and democratic republic in Iran. BPP is one of the founding and most active members of “The Congress of Nationalities for a Federal Iran” (CNFI). The CNFI consists of parties and organizations representing Arabs, Azerbaijani Turks, Balochs, Kurds and Turkmen. CNFI seeks to establish a secular, democratic republic with a federal structure based on parity of its constituent parts. Please download our West Balochistan Member Profile Brochure.